You can’t miss E.B. 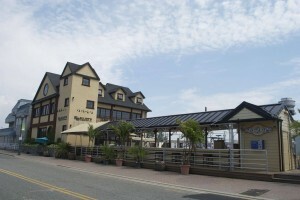 Elliot’s Waterfront Dining & Bar as you walk down the Nautical Mile. The two story restaurant and outdoor patio and bar is as inviting as the aroma of food coming from the restaurant. E.B. Elliot’s incorporates a wide variety of American cuisine and fresh and local seafood. E.B. Elliot’s offers live music on weekends, open mic on Wednesdays and The Witches Brew every Thursday. If you’re looking for pure summer fun, look no further than Hudsons on the Mile. This restaurant and bar has great food, drinks and music. Hudsons specializes in seafood specialties like Pan Seared Salmon and their popular Seafood Fra’Diavolo. Make sure you stop by for their summer special, Rock Lobster Tuesdays. Have a delicious dinner then head to the back bar where live bands perform on stage. River House Grille is located directly on the water with outdoor seating, in both the front and on the canal. It’s a dockside restaurant with perfected dishes, such as steak, seafood and pastas. 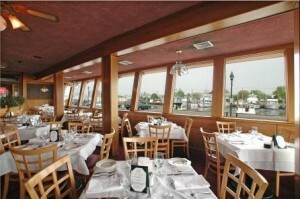 River House Grille is a neighborhood fixture of restaurants on the Nautical Mile. This restaurant isn’t just known for their food, River House Grille has great bands perform every week. Whether you’re looking to dance or enjoy a meal, River House Grille is the place. You might have guessed it, right on the Nautical Mile there’s another seafood restaurant just as delicious as the others. It’s Nautilus Café, a staple of the mile. Bring your significant other for a night of simplicity yet elegance. The waterside restaurant brings out authentic nautical features including scenic wood paneling and an old fashioned bar. You’ll find fresh seafood, including lobster claws the size of a plate and try the daily homemade soups and chowders. This restaurant guarantees good times. Hurricane Harry’s on the Mile is casual and fun for both adults and kids. Their raw bar serves fresh little neck clams, oysters and sushi. While enjoying this fare, check out the great live music on the patio. Performers playing top 40 hits, jazz, reggae, calypso, classics and more will have you dancing in no time. 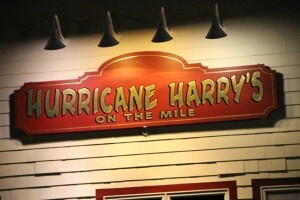 And with a name like Hurricane Harry’s, you’re sure to get some great drinks! 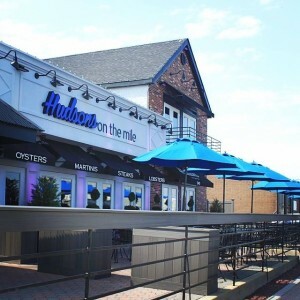 Grab your flip flops and sunglasses and head out to the Nautical Mile. Many come by boat, but All Island Transportation can get you there too! Call us at a location near you or make a reservation online and enjoy the fresh air and seafood!